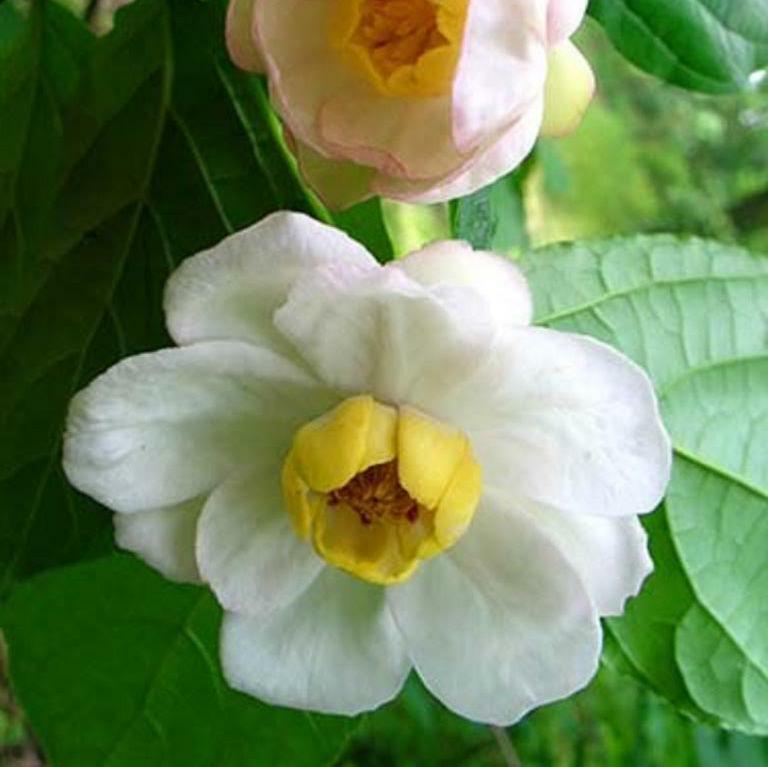 Sinocalycanthus chinensis is closely related to Calycanthus floridus which originates in America. This one comes from China where it is an endangered species, and is still relatively rare in western cultivation. 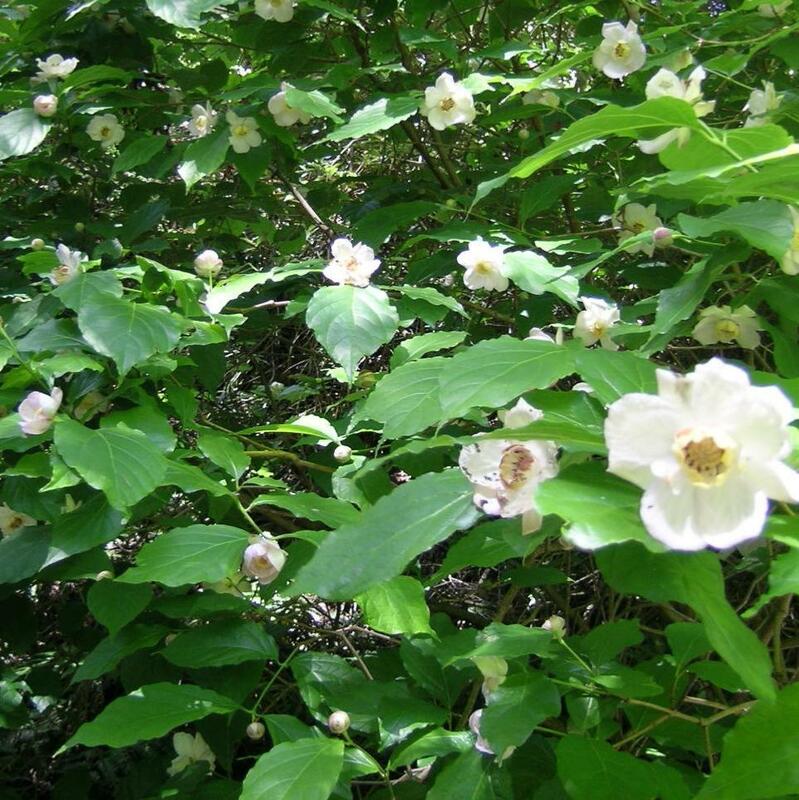 It is cultivated for beautiful flowers and large attractive leaves. The flowers are cup shaped, up to 7cm wide, and usually have 10 white or only light pink-flushed petals on the outer ring, and another ring with dwarf, light to deep yellow petals in the centre. Deciduous leaves are large, up to 15cm long, fresh green and glossy. Flowers are followed by interesting seed-pods which often hang on the bare branches until spring. It grows moderately into a rounded shrub of the same height and spread. Cultivate in fertile, moist but well-drained soil in full sun or some shade for part of the day. It will be happy if given a location sheltered from cold, drying winds. However, it is fully hardy in the UK.